The BMW 3 Series at Budds’ BMW Hamilton is the embodiment of a sporty sedan. In its sixth generation, this irresistible combination of dynamic design, unrivalled agility and excellent everyday practicality is as impressive as ever. Available in classic rear-wheel drive or intelligent xDrive all-wheel-drive, the 3 Series features powerful, high-efficiency gasoline and diesel engines with BMW EfficientDynamics technology that guarantees outstanding dynamics and low fuel consumption. If you are interested in purchasing a BMW 3 series at Budds’ BMW Hamilton, then please continue reading this page! 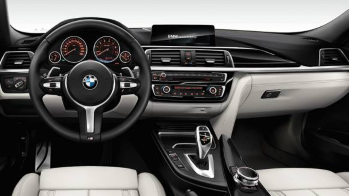 The 3-series offers five different engine options (including a turbo-diesel and a plug-in hybrid), a six-speed manual or an eight-speed automatic transmission, and either rear- or all-wheel drive. Three body styles are offered, too—a sedan, a wagon, and a funky five-door Gran Turismo hatchback. the BMW 3 Series at Budds’ BMW Hamilton brings inspiration to every journey. Like no other car, it embodies the concept of a sports sedan. Now in its sixth generation, with even more power, efficiency and individuality. Supplying the appropriate forward thrust are powerful inline 6-cylinder and 4-cylinder petrol and diesel engines with state-of-the-art BMW EfficientDynamics technology. 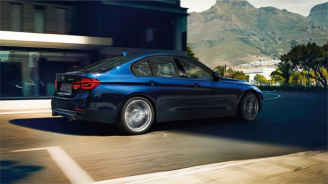 The result is BMW 3 Series with impressive dynamics and low fuel consumption – and as the peak of efficiency: the BMW 320d EfficientDynamics Edition and the BMW 330e iPerformance with a plug-in hybrid system that combines a 4-cylinder petrol engine with innovative BMW eDrive technology. In addition to all this, the intelligent BMW xDrive all-wheel drive system ensures driving pleasure on every road, on every bend and in every driving situation. The BMW 3 Series models combine the joy of driving and practicality for daily use, ranging from the BMW 3 Series iPerformance Sedan, BMW 3 Series Touring, BMW 3 Series Gran Turismo to the BMW 3 Series Convertible. The plug-in hybrid BMW 330e iPerfomance Sedan is the first BMW 3 Series with BMW eDrive technology. BMW M3 Sedan is a genuine high-performance sports car that promises unadulterated driving pleasure with each of its 431 hp. For more information about the BMW 3 series at Budds’ BMW Hamilton or about any of our other premium quality driving machines, please feel free to continue browsing through our website. Also check out out blog page for more interesting content! We can be reached at (905)387-7507 or by filling out our contact form.